​In Portugal, we are starting the summer holidays and the students are already on vacation and will not be back to school until the middle of September. Our school has been cleaning the Reis Magos (Wise Man) Beach since 2012 and and joined the Sandwatch project in 2014. Our students ages range essentially between 10 and 14 years old and at this age they are not ready to make significant career choices however, I can add that after we started to clean and sponsor the beach, other schools in the area did the same thing and at the moment they are also carry out these kind of coastal environmental activities, so that is a very significant affect Sandwatch and related activities are having on our local schools and communities. We have been contacted by other hotel/resorts on the island (Madeira) to develop similar initiatives, such as the World Environment Day Commemoration, which we took note of last month. 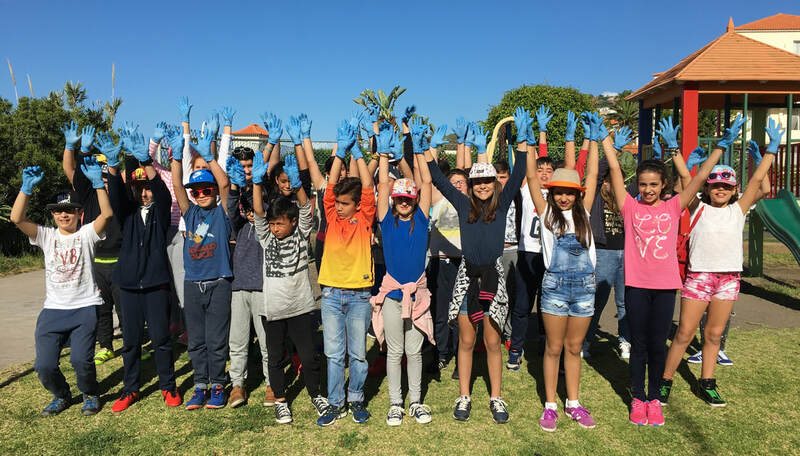 Our students are very proud to be “godfathers / godmothers” of your beach and in general reveal a more interested attitude towards environmental topics. Public institutions like the City Council of Santa Cruz, the Parish Council, the Institute of Forestry and Nature Conservation and private companies like Caniço Pharmacy continue to show interest in participating and developing new activities and there is a general feeling of satisfaction amongst all the partners. Although the feeling is that the initiative has had a positive impact on the school and the community, it is difficult to have more specific metrics to measure it so far though that could change when the next school year begins.